Discovered by H. Nishimura, Kakegawa, Shizuoka-ken, Japan, with on 10-s exposure on five frames using Canon EOS 6D digital camera + 200-mm f/3.2 lens under the limiting mag = 14.0, who writes that nothing is visible at this location on three frames taken on 2018 Feb. 3.855, 4.863 and 5.864 UT under limiting mag.= 13s. 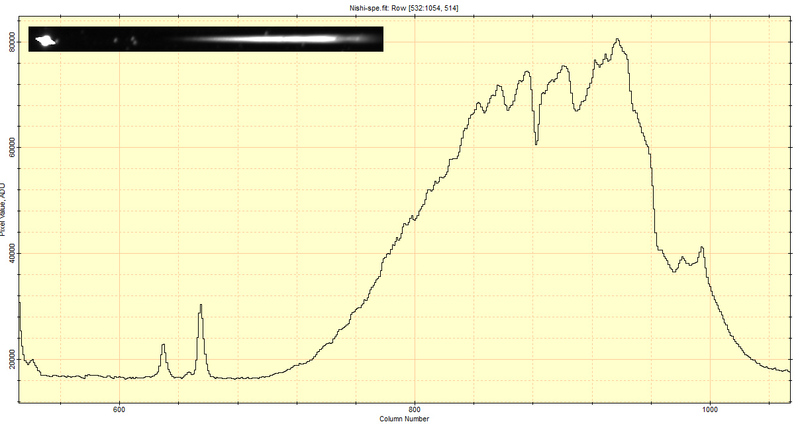 Thre is a star (mag.= 16.8) at 49s.24 and 01".8." "Photometry results were B=12.21, V=10.10, Rc=8.88 and Ic=7.63 with 0.50-m f/4.5 CDK astrograph + FLI PL6303E CCD camera (T30, iTelescope.NET) at Siding Spring Observatory, NSW, Australia. Posoition end figures were R.A.=49.67 and Dec.=3.16. Low resolution spectrum also showed that this PNV was highly reddened. My images are available at http://meineko.sakura.ne.jp/ccd/PNV_J16484962-4457032.jpg and http://meineko.sakura.ne.jp/ccd/PNV_J16484962-4457032-spectrum.jpg Seiichiro Kiyota (Kamagaya, Japan) "
Based on the spectrum made by Kiyota-san can anyone confirm the nova nature of this object? 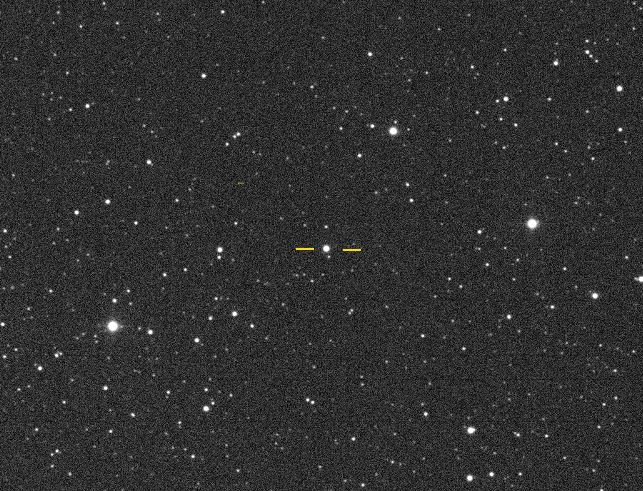 PNV J16484962-4457032 is clearly visible at 10.026V (0.002) magnitude on my 2x20s CCD images taken on 2018. feb. 07.7514UT remotely with the 0.43m reftractor at the Siding Spring, Australia station of iTelescope network. Thanks for observing this new nova. Could you please submit your observation and any more that you make to the AAVSO as soon after you make them as possible? That way they are available for Alert Notices and for researchers. Many thanks! AAVSO Alert Notice 616 reports on Nova Sco 2018 No. 2 = PNV J16484962-4457032. Please see the notice for details and observing instructions. There is a new AAVSO sequence available for N Oph 2018 No. 2 = PNV J16484962-4457032. Please use it to observe the nova. There is no new sequence for N Oph 2018 No. 2 = PNV J16484962-4457032. 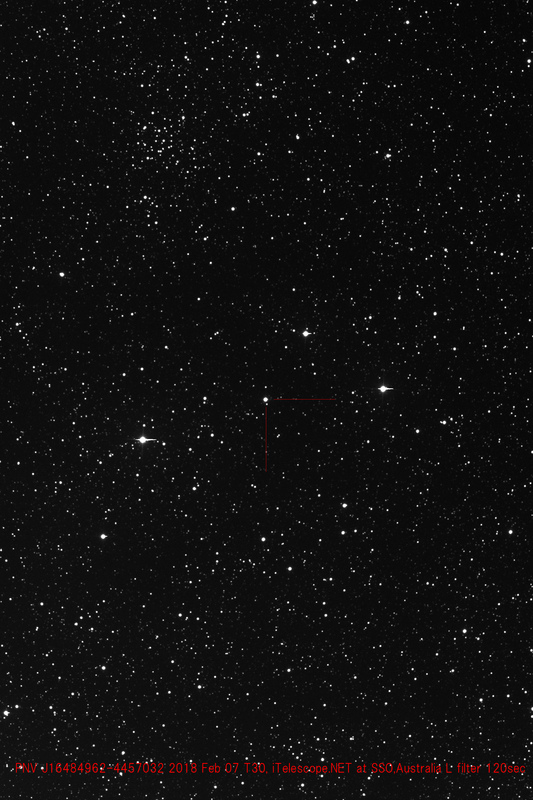 Another object with a sequence revision was accidentally given the PNV name of the nova. Please continue to use the sequence distributed at the time of Alert Notice 616. Many thanks.